Paige's Page: It's so Hot we got to Stay Cool! Does it need to be in-game? But as far as I know there's only one "icy" area in the game, wouldn't that be hard to do? Why does it have to be icy? My picture is in the waterfall. It can be anywhere, be creative. So we just take a screenshot, and send it, or can we edit a screenshot, and add a caption or something similar? 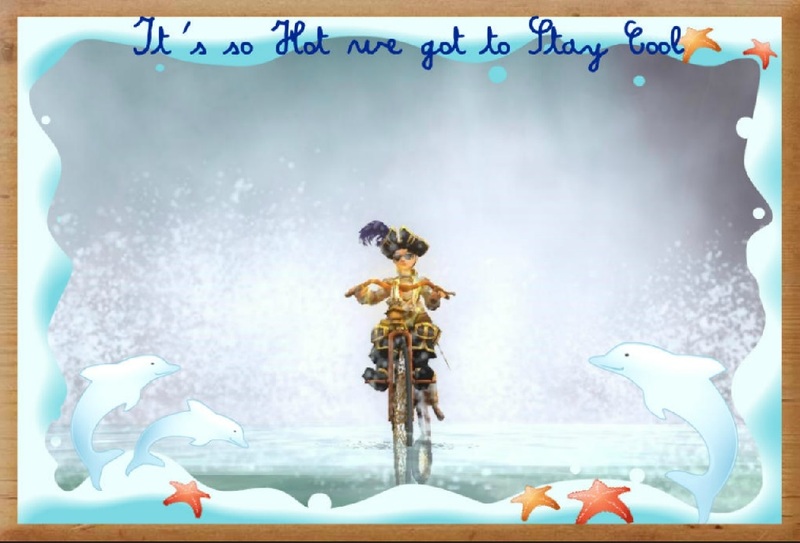 Take a screen shot of your pirate staying cool in Pirate101 and send it in . You can be as creative as you choose. I like my banner. Don't you? Page I love your banner. I also got the idea to make my pirate behind a waterfall but I made it a little more creative. Hopefully you'll like it. Small question were ca I get a frame similar or like that one.